True happiness lies in loving the right things and loving them in the right way. When it comes to happiness, it is always accompanied by love, for happiness is ultimately the love of life, the celebration of living. The mark of happiness is that you are sensitive to the world around you, that you acknowledge your dependence upon your surroundings and that you are filled with loving-kindness. Loving & Kindness is about cultivating compassion and love, through mentally repeating a series of phrases directed at someone you love, a neutral person, YOURSELF, and then all living things. "KINDNESS IS LOVE, LOVE IS KINDNESS"
If you’re looking to boost your happiness and well-being, acupuncture isn’t your only option- try loving kindness meditation could be just the practice for you! practicing seven weeks of Loving Kindness Meditation increased multiple positive emotions including love, joy, contentment, gratitude, pride, hope, interest, amusement, and awe. In conjunction with acupuncture treatments, you could greatly increase both life satisfaction and reducing depressive symptoms. Research shows this critical voice can be tamed through practicing Loving Kindness Meditation. Beyond reducing self-criticism and depressive symptoms, Loving Kindness Practitioners also experienced improvements in self-compassion and positive emotions that were maintained 3 months post-intervention. 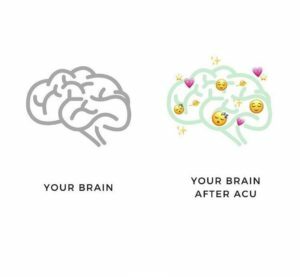 Because of recent advances in the field of neuroplasticity, we know that what we think, do, and pay attention to changes the structure and function of our brains. And guess what? Regularly practicing Loving Kindness Meditation has been shown to activate and strengthen areas of the brain responsible for empathy. One of the most important benefits of empathy is that it improves relationships. Increased empathy can also lead to more compassionate action. Time to toss out your Tylenol? While meditation isn’t usually thought to be a remedy for debilitating migraines, research shows it can help. 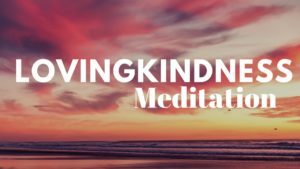 A brief Loving Kindness Meditation intervention was shown to immediately help reduce pain and alleviate emotional tension associated with chronic migraines. 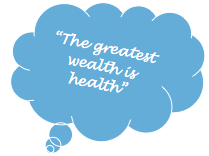 Get started with a custom-tailored treatment plan that will be created to suit your individual needs so that you can feel & live better quickly and safely! CLICK HERE to download February's Newsletter!